Peaks and valleys. Life is full of them. The important thing to remember when you’re in a valley, is that you won’t stay there forever. Valley’s are temporary, even when they seem to last an eternity. Inevitably, you find yourself back on top again. Sometimes just remembering that can be the encouragement you need to endure. And not all valleys are huge. Sometimes the valleys I face are daily, even hourly. Sometimes I seem to have so much energy, direction, purpose, and momentum. And then, in a very short period of time, that all seems to get washed away somehow, and I feel tired, confused, or begin to doubt my former resolve and decisions. When I start to feel that way, I consciously tell myself to shut up. I know it will pass; the clarity will come again, the resolve will return, the momentum will pick back up. And guess what. It does. And so I think that one of the best ways to handle life’s little valleys is to just not take them to seriously. Oh, it doesn’t mean we shouldn’t learn our lessons (when the valleys were self-inflicted), but sometimes we just need a break, and it’s that simple. So the next time you doubt yourself, the next time you question your journey, the next time you just feel tired and ready to give up. Just don’t. Tell yourself to shut up and chill. Forge ahead and soon you’ll find yourself back on the peak. And while you’re there, enjoy it, because it too, doesn’t last forever. What on earth is the Double McTwist 1260? It’s where you flip diagonally two times in the air, and simultaneously spin for three and a half rotations. It’s a crazy, high-risk, highly complicated, and totally unbelievable move. Shaun White invented it, and showed it to the world as he took gold in the snowboard half-pipe at Canada’s 2010 Winter Olympics. He invented the stunning snowboard move at a super-secret location dubbed “Project X”. A private half-pipe complete with a foam pit built just for him on the backside of Silverton Mountain in southwestern Colorado, in an inconspicuous avalanche chute. It was reachable only by helicopter or snowmobile. There he also invented the double-cork, involving two off-axis rotations, or diagonal flips. The double cork has become the “premier” move that olympic snowboarders aim for. It took Shaun three full days to invent and finally land the double-cork, but nobody else can yet do the Double McTwist 1260. After his first of two runs Shaun’s score (which he achieved without the signature move) left him in the lead. It was a score that left him in the lead even on the second set of runs by the other olympic competitors. Going into his second run, the last run of the event, he had already earned the gold. But instead of playing it safe, instead of stopping there, he decided to do another run and try the high-risk move. It was an unbelievable moment, and he did it flawlessly. Shaun didn’t lead a pampered life, but come from humble beginnings, overcoming a heart defect in his childhood called Tetralogy of Fallot, requiring two major surgeries. he also had to wear leg braces to correct severe bow-leggedness. But neither prevented him from following his dream and starting snowboarding at age 6. Shaun had all the ingredients to engineer his life for success. He showed early on he had the passion, the commitment, the drive, and the willingness to work hard. But he had two more things that played a critical role for him to succeed, and become the top snowboarder in history. One of the less-well known secrets of Shaun’s success was the incredible support and sacrifice of his parents, Roger and Cathy White. They didn’t have much money while Shaun was growing up. But they recognized Shaun’s potential. They loved him and believed in him, and were willing to support him, to the tune of a about $20,000 a year. But his family was as committed to him as he was to snowboarding, so they’d all spend weekends at snowboarding events, living out of a 1964 van they nicknamed “Big Mo”. They’d cook meals on a stove in the back to save money. Cathy would spend weeks shuttling back and forth between hauling Shaun to Mammoth to board, and waiting tables in San Diego. By 2002, her 1998 Honda had accumulated 180,000 miles. Their support paid off. Shaun White now earns over $9 million anually in sponsorships, putting him second only behind the famous Tony Hawk in Forbes’ 2008 list of highest paid athletes in action sports. He even has a video game now. The second external ingredient to his success in accomplishing his dreams and achieving his goals (one of them the 2010 Olympic gold medal – his second), was his coach, Bud Keene. Bud Keene: What do you want to do? Shaun White: I don’t know man. Ride down the middle? Bud Keene: No, have some fun. Keene: Yeah, drop a double mick at the end and … send that thing. Shaun’s first instinct was to play it safe, but his coach pushed him to set a new barrier, to never stop pushing. Because of that advice, Shaun’s last run earned him an even higher score, and will go down in the records as the most amazing run in snowboard half-pipe history. Of the many life-engineering lessons I’ve learned from Shaun White, here are the two top points. 1. Don’t just try to perfect what everybody else always does. Set your aim higher. Be inventive. Invent your own style, be yourself, do your own thing, set your own tone, make them follow you. Shaun has invented 5 of the most difficult snowboarding moves there are. Now he’s the one to follow. 2. Surround yourself with support. Good, positive support. You can’t break records totally alone, you do need help. Shaun had incredible parents (who deserve more credit), and a coach that pushed him. We all need our Tenzing Norgay. For more info on Shaun, you can also visit his website at www.shaunwhite.com, or view NBC’s profile on Shaun here. You can also watch an entertaining and inspiring video of NBC’s interview with Shaun here. Because if you answered no, then it means you’re not trying hard enough. You’re not trying new things. You’re not pushing yourself. You may have even become complacent. So comfortable with where you are, that you’ve established a life of stasis. Stasis is a state of inactivity, or equilibrium. If you find yourself waking up and just going through the motions, you’re in stasis. If you find yourself without a vision, without goals, without something you’re aching to do, then you’re in stasis. If you don’t have something burning inside you, you’re in stasis. If there’s no big problem you’re trying to work out, you’re in stasis. These are the plateaus of life, and if you’re not careful, you can end up there for a very long time. In fact, some never escape. But a life of equilibrium is one simultaneously devoid of all the ingredients that make life so exciting. The thrill of a new endeavor, the passion of committing yourself to a vision, the exuberance of accomplishing something you set out to achieve, and the personal growth that comes from the process of pushing yourself. These are the emotions of those engaged in a great cause. This is the vista from the mountains of purpose. People tend to view failure as weakness. But I think it’s the other way around. If struggles make you stronger, what does it mean if you’ve stopped struggling? Failure is merely an indication that you’re struggling, progressing, and getting stronger. So stop worrying about your failures. Appreciate them for what they are, and enjoy the value of the lessons they hold. Then get back up and keep moving. https://life.engineering/wp-content/uploads/2018/08/life-engineering-logo-lg-color-web.png 0 0 Rusty Lindquist https://life.engineering/wp-content/uploads/2018/08/life-engineering-logo-lg-color-web.png Rusty Lindquist2010-02-23 19:43:222010-02-23 19:43:22Are you failing on a regular basis? 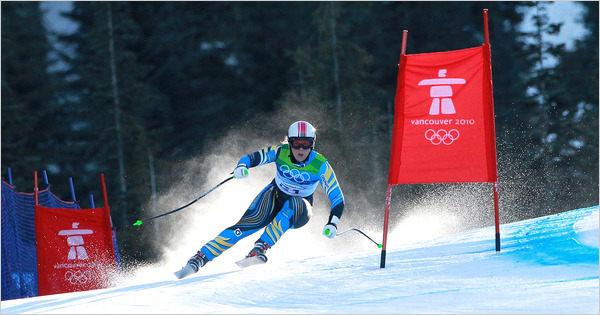 Among the stories of olympic athletes at the 2010 Winter Olympic games, one that recently caught my attention was that of Anja Paerson, one of the most decorated downhill skiers in the world. Anja Paerson has an incredible 41 wins on the World Cup circuit which she started at only 16 years old (18 in Slalom, 11 in giant slalom, 4 in super-G, 5 in downhill, and 3 in combined). But Wednesday, during the last portion of her race, she caught the last jump off balance, leaning too far back, and lost control. 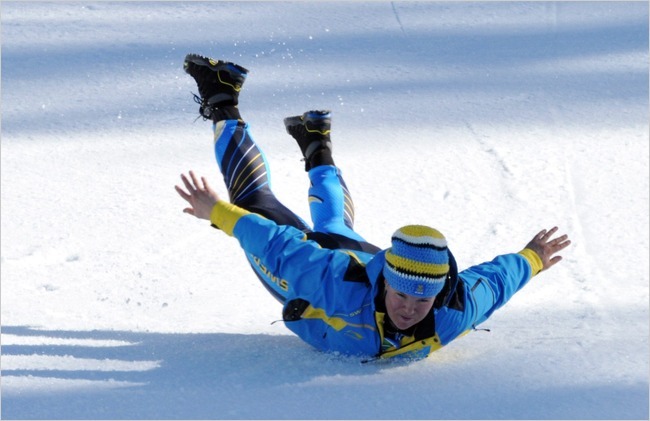 She flew almost 60 meters (about half the length of a football field), twisting and sliding the rest of the way down the slope. In the end, she had severe bruising all over her body, and internal bleeding in her left leg. Her frightening crash can be seen on this NBC clip (hers is the last crash in the sequence). Yet, she got up and walked off the course. “That was a fall that probably would have taken 98 percent of the field out,” commented Jim Tracy, U.S. women’s head coach. But Thursday morning she was in the gates for another downhill to open the super-combined. “I wouldn’t be able to win a beauty contest today. But I don’t care, as long as I could ski,” she said. She had a need to overcome her personal daemon – that last jump. “I really wanted to do that jump in the bottom,” she explained. “For me it would’ve been a hard time to manage to cope with it in your head if I hadn’t done that jump. “I was pretty scared this morning. I was scared to hit that last jump again. But it is like they say, you want to get back on the horse that threw you. I wanted to try to race, and I wanted to take that jump again. Wonderfully put, more wonderfully demonstrated. Anja went back and took the bronze. What I learned from Anja Paerson’s outstanding example? When you fall, you have to get back up. You have to face your daemons. You have to overcome the fear of crashing again. Crashing is part of the process, in any endeavor. What matters is that you get back up and do it again. Thank you Anja for your inspiring attitude. You’re a motivation to me. Petra Majdic overcomes 4 broken ribs and a punctured lung to win the bronze. Proving that sheer willpower is stronger than nearly any adversity you can face. Lindsey Vonn – she didn’t start out the fastest, she wasn’t the most naturally gifted. But she started small, persevered, and through a crazy amount of hard work has become the most successful female skier in World Cup history. I’m constantly inspired by the photos of olympic champions in the moment of their success. Expressions that encapsulate the culmination of years of hard work, living their dream and achieving their goals. Click the photo above for an ever updated catalog of these expressions. Seth Wescott wins the gold, 6 weeks ago he couldn’t even walk. Overcoming injury, the worst-possible starting gate, and an unthinkable gap that left him in last place through most of the race, he kept his focus, believed in himself, and succeeded. Read his story. Cross Country Sprint star Petra Majdic, from Slovenia was favored to win Wednesday’s gold medal finals at the 2010 Winter Olympic games at Whistler. That is until she suffered a terrible accident during a warm-up early Wednesday. Her skis caught a patch of ice on a downhill slope. She fell 9 feet into a gully off the side of the track. When she fell, she broke both poles, one ski, 4 ribs, and punctured her lung. But what did she do next. She climbed out of the gully, and went on to race 4 times, including the opening round, the quarter finals, the semi-finals, and the finals. And she didn’t just compete, she won the bronze medal. Shortly after the awards ceremony, which she attended in a wheelchair, she went back to the hospital for treatment, and they say she’ll be there for some time recovering from the wounds. Already heralded as a true champion in Slovenia (her’s marks their fifth Olympic Winter Games medal in Slovenia’s history), she will return as a giant. As well she should. She’s a giant in my eyes. Neither can I. But in watching her do it, I learned something important. I learned that when you want something badly enough, when you’re intensely focused on achieving your goal, you can see past enormous barriers, and endure enormous pains. It’s a lesson of willpower, which Petra proved is strong enough to overcome nearly anything. Thank you Petra, for your example and strength. Your greatness and perseverance are inspiring. Of the many champions at the 2010 Winter Olympics in Vancouver Canada, the story of Minnesota’s 26 year old Lindsey Vonn is one that inspires me. Today Lindsey Vonn won the downhill gold on the 2,939-meter course at Whistler Creekside with a time of only 1:44.19, beating teammate Julia Mancuso by over half a second. She did this in spite of a major shin injury she received in a ski accident in practice only a couple weeks prior to the event. She described the pain as “excruciating”, but took advantage of the delay in her event caused by bad weather to heal as much as possible. It didn’t slow her down. In fact, she was the first American woman to ever win downhill gold at the Olympics. But her accolades don’t end there. She was also the first American to win back to back overall World Cup championships in 2008 and 2009. She’s won the World Cup discipline championships in downhill back to back those years as well. She also won the Super G (the first American woman to do so). With 31 Wold Cup wins in 4 events, 2 Wold Cup Championship gold medals, and two World Cup Championship Silvers, she is the most successful American woman skier in World Cup history. So what’s her secret? Lots of hard work. Looking back into Lindsey Vonn’s history, I found that she started skiing at age 2. When she was 6 she started skiing regularly on a small hill with a rope tow on the outskirts of Minneapolis, putting in hour after hour of practice. What inspires me is that she didn’t start out as the most naturally gifted skier. She wasn’t always the fastest. But she was committed, and she stayed committed, putting in the time and effort she needed to become the most successful American woman skier. One of the secrets to success is just plain old hard work. If you’re not the best right now at what you do, that’s not what matters. What matters is that you stick to what you love. Hard work and perserverence can overcome whatever talent you may lack. You don’t become great by setting meager goals, goals that would be easy. She thought big, and worked hard. Start small. Her hours on the little tow-rope hill created the foundation for her success. You don’t have to start big, just start small, and start now. Yesterday was an amazing day watching 33 year old Seth Wescott win the gold medal in the snowboardcross event at the 2010 Olympics in Vancouver. He’s a true example of life-engineering, for while he was the defending gold medalist, having won gold medal in the event in the last olympics (the first olympics to hold the snoboardcross event), a victory here was anything but certain. Just six weeks ago, Seth Wescott couldn’t even walk. In December he’d jammed his femur into his pelvis in a crash on the slopes that left him in immense pain. But in spite of all the pain, he kept his mind focused on his objective, one of the primary principles in life-engineering (here), maintained his hope, and worked furiously to come back. Due to his performance in the qualifying event, his victory was further complicated by his low seeding, causing him to be starting out of the worst possible gate. “I knew I would be fighting from the bad gate,” he said. “I was in fourth. Nate went down, I reeled in Tony, drove him inside. Mike braked, and I went in” said Wescott. Through most of the course Seth was in last place, biding his time, pressing forward, and looking for his opportunity. Separated by a gap that would have caused most to accept defeat. Tell that to Seth Wesscott, for that’s just what he did. In an unbelievable recovery, showing unspeakable determination to achieve his goal and win the gold, at just the right moment, he made his move, taking Canada’s Robertson, then in the lead, totally off-guard. From then on, he just held on tight. At the end of the Run, the exuberant Wescott was seen waving a large American flag. A flag his father had given him after his last olympic medal 4 years ago in Turin. It was a flag presented to his late grandfather years ago by the U.S. military for his service. Wescott, envisioning his success in spite of all the odds, had given it to his PR person who would be waiting at the finish line, just so that he could have it there when he won. Lessons I take away from watching Seth Wescott win the Gold Medal in snowboardcross at the 2010 Vancouver Olympics? No matter how circumstances change, or what obstacles come in your way, you stay focused on your objective, focus on your goal. Keep-a-goin (poem). Don’t wallow in self-pity or make excuses. He overcame an injury only six weeks from the olympics, had the worst possible starting gate, was in last place for the whole first third of the race with a nearly-overcomeable gap, but he just kept going. Be confident. Even in spite of his knowledge of the odds, he came prepared to win, he was in the mindset to win. Even had his flag waiting for him at the bottom for when he did. No excuses. At any point along his journey to the gold medal, he had plenty of reason to give up, and solid, acceptable excuses to do so. But excuses don’t create winners. It seems to me that Seth’s vision of his self was larger than his view of the obstacles that he faced. He knew he could do it. When some new barrier came up, it didn’t change his fundamental view of himself (a gold medalist, a champion), all it did was alter the landscape a little. The same is true of all champions, all who overcome great odds, or who achieve greatness. It’s because they know, at a very fundamental level, that they can do it. Thanks Seth, for your inspiration. Last week I was in Los Angeles California. My kids had made me promise to bring home some seashells, so at the end of the week I made it to the beach and began my search. I was soon dissatisfied with the meager offering of common, broken, picked-over shells available on the mostly-deserted shoreline though. I realized that if I wanted the good shells, I would have to get wet. Fortunately, I’d come prepared, having worn a suit under my t-shirt and sweats. But it was 50 degrees and overcast, and would be dark soon. (All the other shell-seekers were sticking to the dry sand). But I was committed. So I stripped down to my suit and waded in, ignoring the cold and clenching my teeth. I then had an experience I’ll always remember. There I was, wading around in the cold ocean, with one eye peering into the darkening water, searching for a shell worthy of going in after (it was cold), and the other eye watching so the next wave wouldn’t take me unawares. It was very frustrating. You only have about 5 seconds between waves. At least half of that is waiting for the sand and bubbles to clear enough to see, and only maybe one second where the shells are totally still. In that very small window of opportunity, you’ve got to see and recognize a worthy shell, plunge your arm in and grab it. But so often, you just get a worthwhile shell spotted, and suddenly it’s washed away when the next wave hit, splashing cold water all over you. If you didn’t act fast, the shell was gone. There was one time I spotted a a rare shell. It was different than all the other shells, about 4 inches in diameter, with real depth. Just as I spotted it, the prior wave was washing back out to sea and it dissapeared from view, the water clouded over with sand and a bomardment of shells and small rocks. Going on nothing but hope and a memory of it’s location, I plunged my hand in where I thought it would be, and to my delight, found myself pulling it out of the water. Being a life-engineer, I couldn’t help appreciate the analogy. In life we’re surrounded by opportunity. The really good opportunities often require us to leave the safety of the shoreline, to leave the pack, to go where other people don’t dare go. They require you to invest yourself, to endure the cold, and to risk a little. Out here opportunities don’t sit and wait very long. In fact, sometimes it’s darn near impossible to catch one in time. Often, you’ll no sooner spot one worth pursuing than it’s washed away. Out here you have to act fast. You have to be prepared to move, and move quickly. You have to be prepared to get wet. Sometimes you’ll see something worth going after, and you just have to plunge yourself in after it, even after the clarity of the moment is gone, and forge ahead more on faith and intuition than anything else. Sometimes you’ll come up empty handed. But sometimes you won’t. The only thing you can do, is try. And that’s half the fun. The other half, is when you get your shell.